This book has long been the standard reference on the subject in English. The authors first establish the principles on which the Shari’ah rests: the Book of Allah, the Sunnah, the consensus of knowledgeable Muslims, and the intellectual tools of ijtihad such as analogical reasoning. They begin each topic of Shari’ah with the relevant ayat of the Qur’an, often giving the commentary on those ?y?t from the most reliable works of commentary. Then the book proceeds to the Sunnah of the Messenger of Allah, may Allah bless him and grant him peace, each hadith being meticulously sourced from the major collections and re-translated according to well known explanatory works on the hadith literature. The authors often give the judgements of the four schools and the majorulama from a wide range of classical texts. The work has received a very extensive overhaul and update with considerable new material available in English for the first time. The late Professor Doi was born in Himmatnagar, Gujarat in India and educated at the University of Bombay, and later at Cambridge University, England. He taught for many years in various institutions in Nigeria. He held posts in Malaysia and the position of honorary professor at Universitas Islamica, Italy, and was visiting professor to University of Bayreuth, Germany and University of Bordeaux, France. Towards the end of his life he lived and taught in South Africa. Of all his authorship, he is most justly famous for this work. Abdassamad Clarke is from Ulster and was formally educated in Edinburgh. He accepted Islam in 1973 and later studied Arabic, tajw?d and other Islamic sciences in Cairo. He has a number of translations of classical Arabic works. He is currently an imam and teacher at the Ihsan Mosque, Norwich, UK. The Compendium of Knowledge and Wisdom “Jami’al-‘ulum wa’l-hikam  fi sharh khamsina hadithan min jawami’ al-kalim is a comprehensive collection of sciences and wisdom in commentary on fifty hadith from the concise comprehensive speech [of the Messenger of Allah, may Allah bless him and grant him peace],” by Ibn Rajab al-Hanbali. Translation generously commissioned by The International Centre for Islamic Studies. NEWS. It is published by Turath Publishing Ltd., of London. 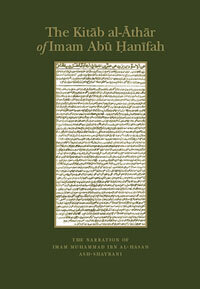 The author adds another eight hadith to the famous Forty Hadith of Imam an-Nawawi and gives a much more elaborate commentary: on their chains of transmission, on the rulings that they entail and on the spiritual dimensions of the hadith, their explanations with respect to ayat of Qur’an and other hadith, and what the great salihun and awliya of Islam have said about them. This compilation of traditions from the first generations of Islam – the Companions, the Followers and the Followers of the Followers – and hadith of the Messenger of Allah, is understood by the ulama to have been the work of Imam Abu Hanifah. It was compiled by his student, Imam Muhammad. As is his pattern with the Muwatta, Imam Muhammad comments on each tradition and places it within the context of the fiqh rulings of his teacher, Imam Abu Hanifah. This will be an invaluable book for those interested in the early sources of Hanafi fiqh rulings, as it will also for those studying the history of the hadith and traditions. Read here the chapter on sales according to Abu Hanifah and see how far off the mark the ‘Islamic financiers’ are. Third Edition due out in October 2008 with extensive revisions, particularly the restoration of as-Suyuti’s citation of his sources. Read this substantial excerpt [116 k] from the story of ‘Umar ibn al-Khattab, may Allah be pleased with him. This is the complete translation of this seminal work by Imam an-Nawawi. It includes the forty-two hadith many of which the people of knowledge have described as ‘the half of the din’ or ‘the pivot of Islam’, etc. The book includes the previously untranslated commentary which the Imam felt necessary for the true understanding of these ahadith. Note: the third edition is on its way later in the year, with a better table of contents, and the hadith will be given names for greater ease of use and to make it simpler to find the hadith quickly. 160 pages, A5 paperback. ISBN 189794074 2. Published by Ta-Ha Publishing Ltd.,London. 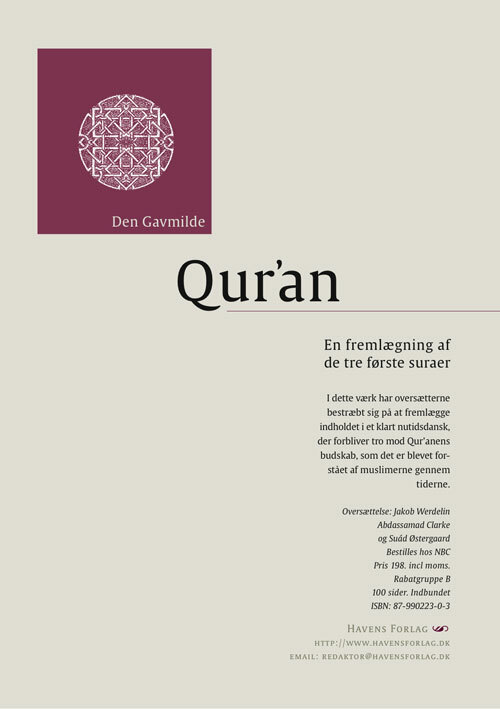 Among our translations also is Al-Ism al-Mufrad – The Unique Name on the permissibility of using the Unique Name “Allah” in dhikr, by Shaykh al-Alawi, published by Diwan Press as the first part of The Two Invocations in 1980, and recently republished by Madinah Media. The translation of Kitab al-Jami’ by Ibn Abi Zayd al-Qayrawani was published by Ta-Ha Publishing Ltd in Dhu’l-Hijjah of 1419/April 1999 as “A Madinan View”. 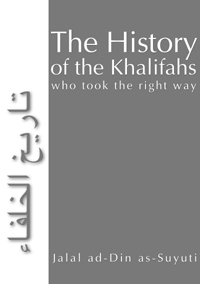 However, this title was a mistake of my own, since it implies that the Madinan perspective on fiqh is one among many, whereas the position of the people of Madinah from Malik down to the present is that the ‘amal (practice) of the people of Madinah is an incontrovertible proof of the Sunnah, as is affirmed by Ibn Taymiyyah. What Malik recorded in his Muwatta, as he so often expresses it, is “that on which there is no disagreement in our city”. although Imam Muhammad does not include Imam Malik’s accounts of the ‘amal of Madinah, and Malik’s own judgements and explanations of different points of fiqh from the Madinan point of view, in their place he substitutes his own judgements and the judgements of Abu Hanifah, may Allah show him mercy, but nevertheless sometimes opting for the position of Malik where it is based, in his view, on a stronger hadith. In this respect, although the book is not the final word on Hanafi fiqh it is a fascinating glimpse of the crystallisation of the Hanafi madhhab in a very early stage. most interestingly, it contains an amount of hadith from Malik himself that the Muwatta narrated by Yahya ibn Yahya does not contain, most notably the hadith “Actions are only by intentions”. I was given the inspiration that pointed me to the book, theMuwatta, the composition of the courageous and liberally generous Imam, the Proof of Islam, Malik ibn Anas, and that thought grew stronger bit by bit. I became certain that there is no book of fiqh to be found stronger than the Muwatta of Imam Malik, since books are distinguished in merit from each other either because of the merit of the author, or because of their insistence on authenticity of transmission, or from the point of view of the fame of their hadith, or from the point of view of their wide acceptanc eamong Muslims generally, or from the point of view of excellence of structure and comprehensiveness of important goals or such like. All of these matters exist in theMuwatta completely with respect to all other books on the face of the earth today. My breast expanded and I became certain that the Muwatta is the most sahih book to be found on the earth after the Book of Allah. This book is the Shaykh’s distillation of the strengths and weaknesses of all of the narrators of the Muwatta, both the Madinan narrators of Imam Malik and the Kufan and other narrators of Imam Muhammad. It is published as a part of theMuwatta of Imam Muhammad, and it is already published by Ta-Ha independently as a separate volume. The book launch with a talk on the theme of the book was held at the Froud Centre in London, Sunday 6/6/04. I would like to have the contact details of Sidi Abdus Samad Clarke please. I wated to get a quote for the translation of a book from Arabic to English. Please can he e-mail me back. It has been a long time Sidi, since I last saw you in Norwich. More than two decades have passed, but I have been talking to you through your many excellent translations. keep up the good work and may Allah ta`ala increase you by the rank of our master Muhammad, may Allah bless him and grant him peace. Thank you for your greeting. We have not failed to notice and benefit from your work of translating the Shehu’s extraordinary works, may Allah be pleased with him. May Allah bless you and whoever benefits from your work. A great pleasure to hear from you. AMIN to the above duas! In Kanz al-‘Ummal, the hadith is ascribed to Anas, may Allah be pleased with him, and is from Ibn ‘Asakir, al-‘Askari in al-Amthal, and Ibn an-Najjar. Al-Haythami in Majma’ az-Zawa’id ascribes it to al-Bazzar narrating from Anas and at-Tabarani in al-Kabeer who narrates it from al-Harith ibn Malik himself. They all contain some weakness. And Allah knows best. Will you be posting on your site more of the ahadeeth from the compendium Of Knowledge And Wisdom “Jami’ al-’Ulum wa’l-Hikam by Ibn Rajab al-Hanbali? It’s so help ful. Jazakallah khair. Wa iyyakum. I won’t be posting more hadiths form the book. It was only meant to be a sample to allow possible purchasers to evaluate whether this book is for them or not.